I make another tote bag again. And yes, this is completely hand sewn again as mentioned in my earlier post - i don't have a working sewing machine at home. This is actually recycle from the jeans leg. 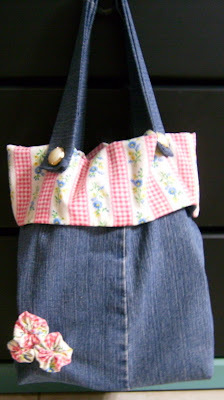 And yes, it's the same pair of jeans that i use to make my "carry all apron". I managed to find this piece of nice print cloth among my old sewing which i used to do many years ago. 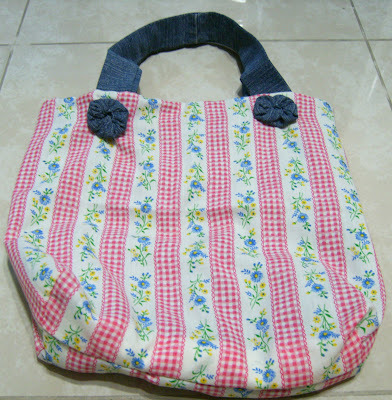 Some how, my recent browsing on the internet have re-ignite my passions for doing craft work and sewing again. 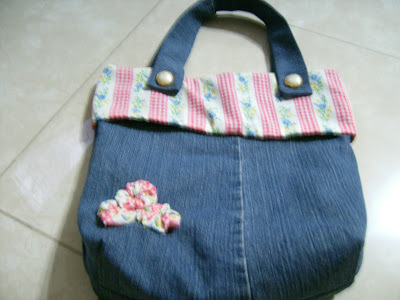 A closer look at my yo-yo embellishment on the tote. Oh! did i mentioned that this tote is completely reversible. 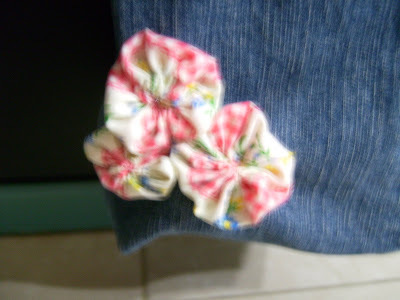 The reason why i'm doing a completely reversible one is because since i don't have a sewing machine, anything visible by hand sewing may not be as neat and i also need to keep away the frillings from the jeans. So i have one tote but two style of carrying it. 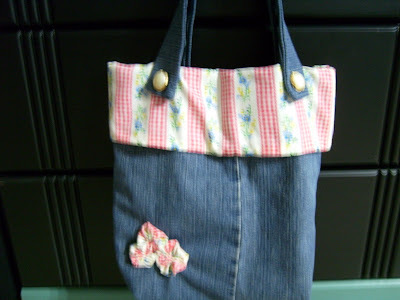 This is the other reverse version of my same tote. I'm actually quite please with my completed tote - something new from something old - isn't it that i'm doing my part for being eco-friendly? 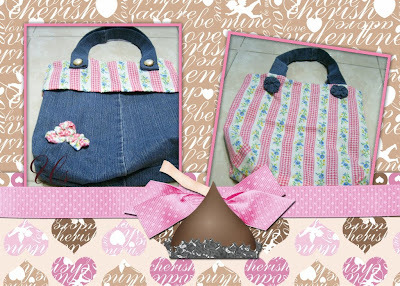 Two different design too, hurray!! !